A woman was taken to hospital last night with a minor head injury after being hit by a train in Nelson while chasing her dog. Police said it was “extremely lucky” the 60-year-old woman suffered such a minor injury in the incident. However, her dog died at the scene after being struck by the train. 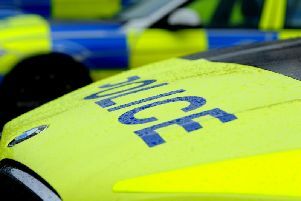 The incident occurred when the woman was walking across the gated pedestrian crossing point off Manchester Road at 8pm. Police said it appeared the dog got away from the woman when on the tracks. Insp. Phil Hutchinson said: “The woman was hit on the head by the train but her injuries are relatively minor which is lucky in itself.